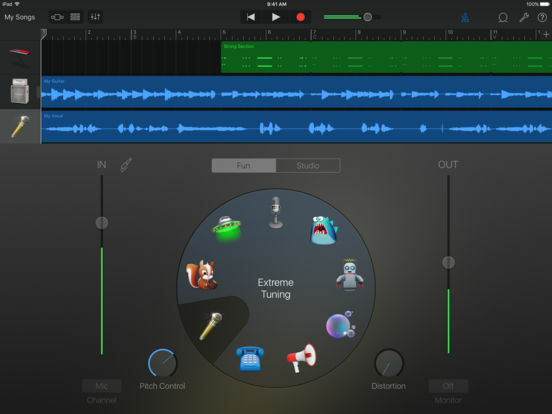 If you enjoy making music as a hobby, for fun or even professionally, then check out this list of music making apps. 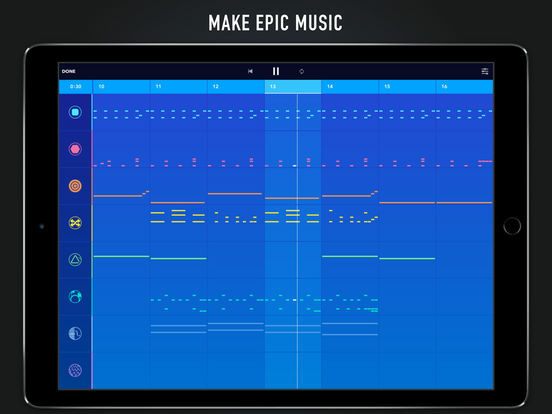 These great options will take your iPad to the next level of music making entertainment. 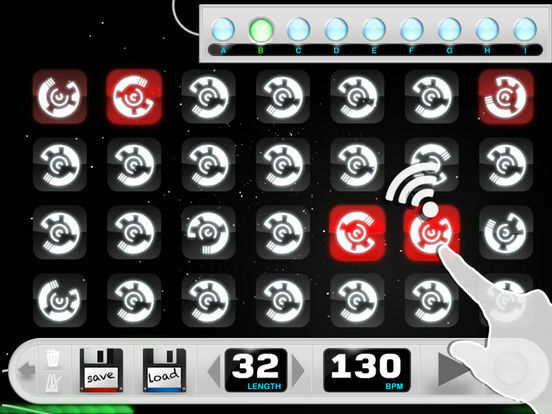 There's a nice selection of apps for users of all skill levels and commitment. The purpose of this list is to have fun doing something that you really enjoy whether it's trying just one app or all of them. 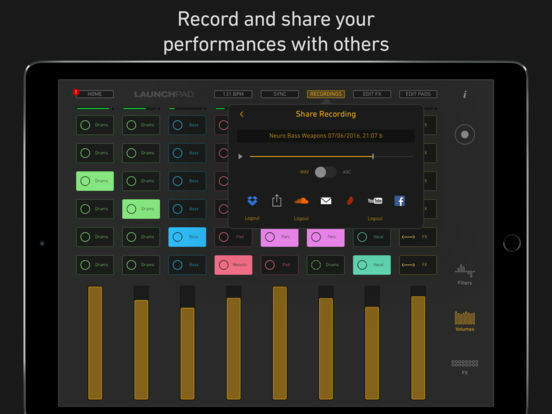 Whether you are a beginner or a veteran music maker, this app has something for every budding or seasoned musician out there. 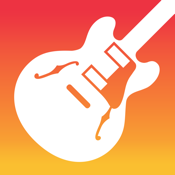 Break up your songs into sections, arrange sections, use up to 8 instrument tracks, 128 instruments with 16 free ones, upload your creations to SoundCloud, share your songs as a video, apply effects and filters, 3D Touch support and many more great features. There are in-app purchases for different music packs. If you have ever wanted to start your very own garage band then here is your chance. 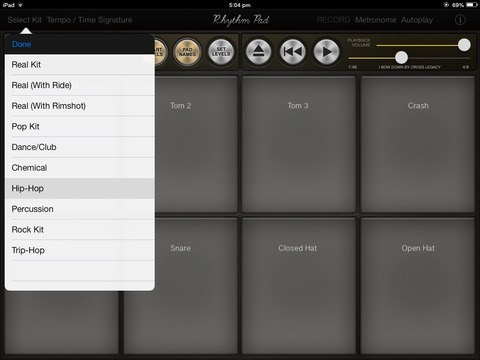 This app is like having your very own recording studio on your iPad. 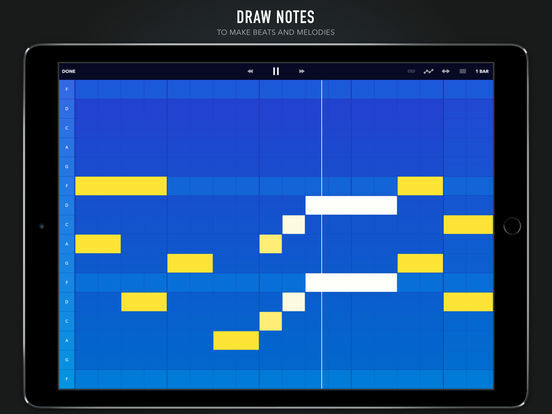 Make music wherever you go and do so with ease due to this app's sleek user interface. 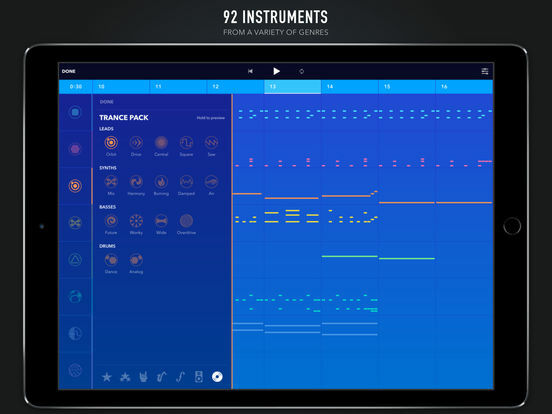 There are many instruments represented in this app like a keyboard, drums and a guitar. Record your voice with a built-in microphone to complete the song. 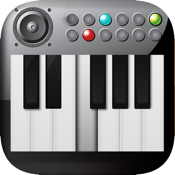 You can even record compatible 3rd party music apps. Whether it's a jam session with friends and something a bit more sophisticated like a symphony orchestra, this app can do it all. 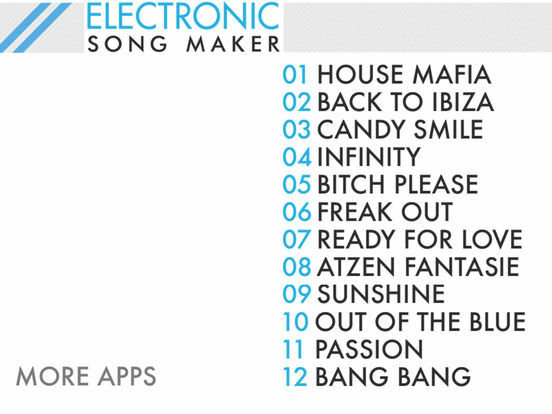 Captivate or hypnotize your friends and listeners with your very own electronic, house, dance music. 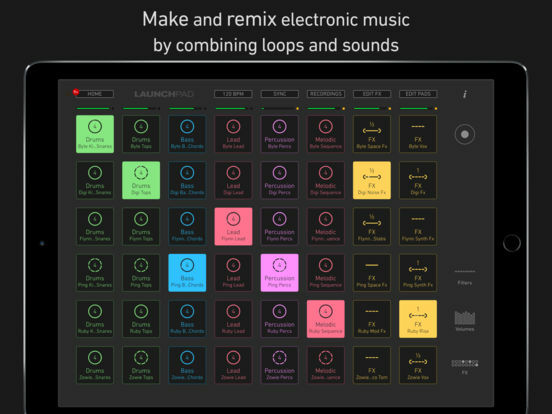 This app allows you sample various songs and create your very own loops. 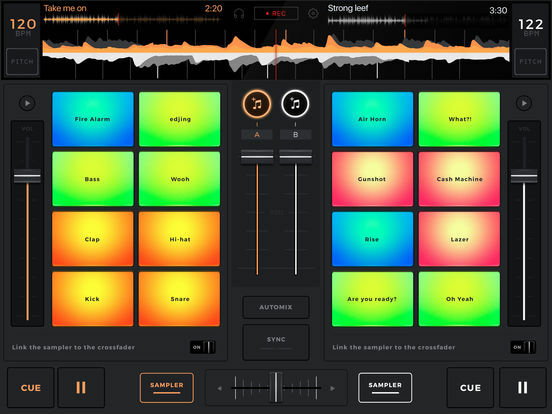 This is also a great tool for budding house DJ's. 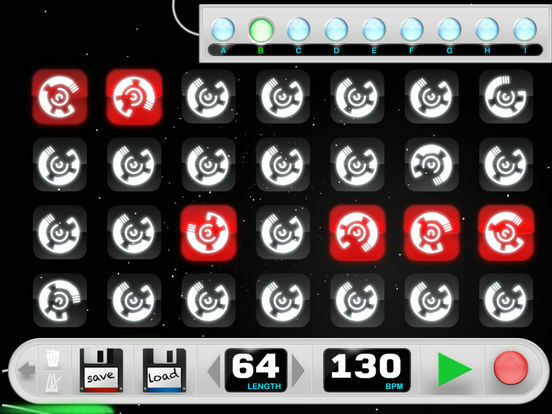 The results are impressive as there are many different sounds via the sample machine and music sequencer. You can even load your own beats. Create a song, edit it, save it and share with others if you are satisfied with the final result. If not, then easily find the saved track and edit it until you get the perfect beat. 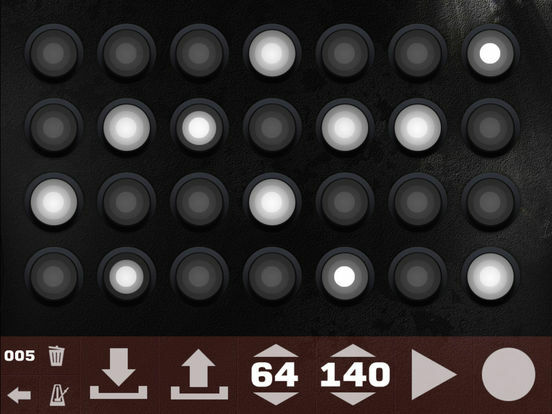 This app is filled with some of the hottest dubstep samples and drum kits. 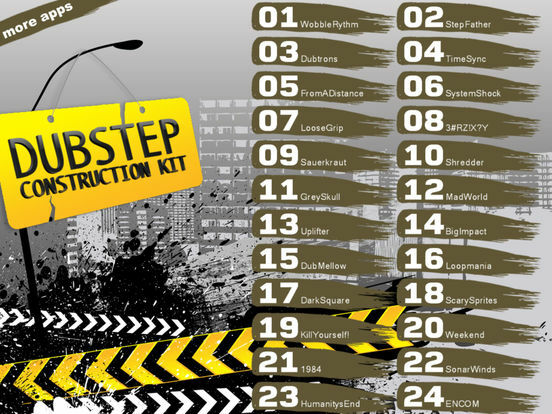 Have your very own dubstep studio at your fingertips. 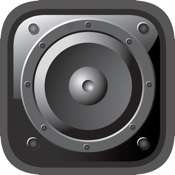 It's a simple to use app that creates powerful dubstep tracks. There are 26 sample kits with over 670 samples to choose from and mix. 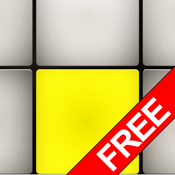 Plenty of drumbeats, snares, cymbals, chords, synths and other powerful sounds. 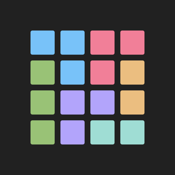 If this is your favorite musical niche, then try out this app. You could be the envy of your friend with some uniquely creative beats. 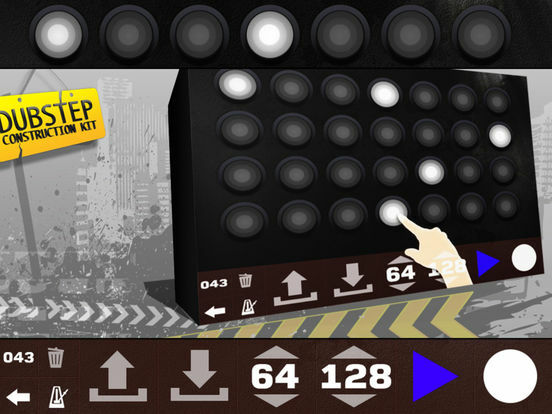 Music Make Jam allows you to make awesome tracks across a wide range of musical categories like hip hop and rock. 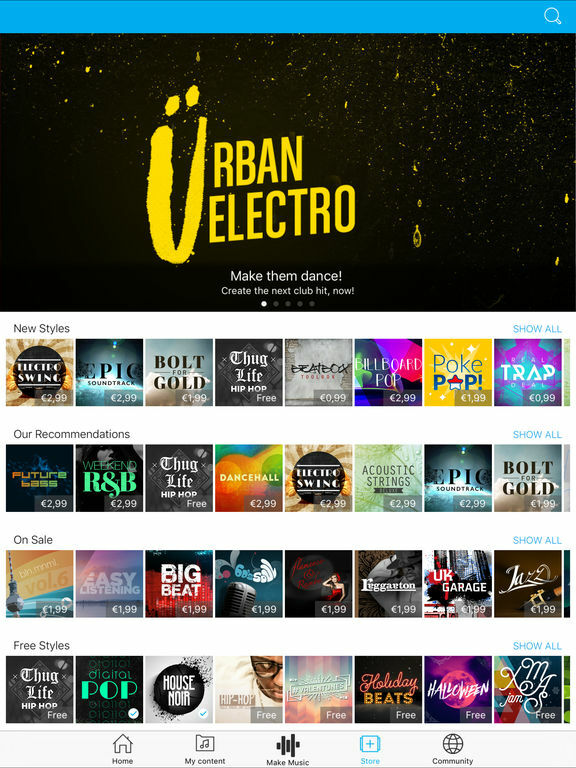 There are over 100 music styles that you can mix, match, cut and balance. 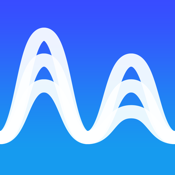 There are thousands of loops to choose from and to apply some of the app's stunning sound effects to. 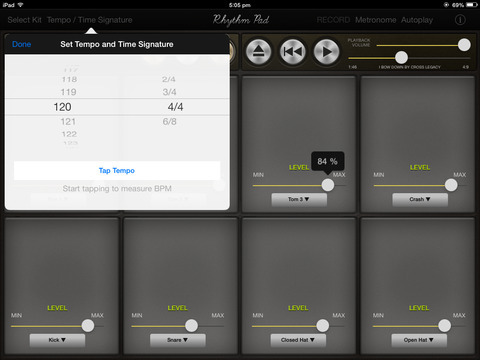 There are real time effects, tempo and harmony adjustments and more. 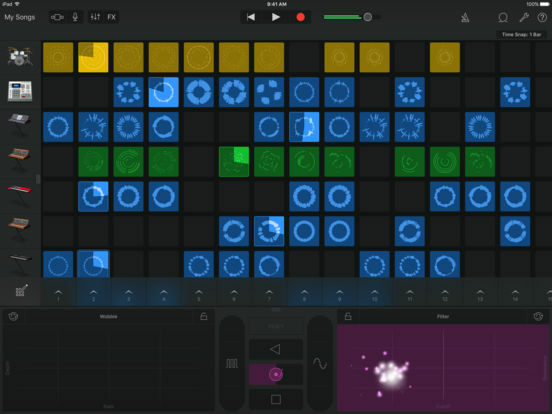 You can remix tracks by shaking your device which is more fun than anything else on the app. 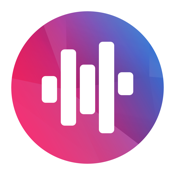 Record, save, edit and share your songs via social media, the cloud and email. 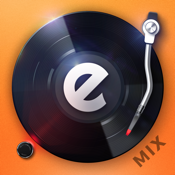 One of the top rated DJ app on the iOS. 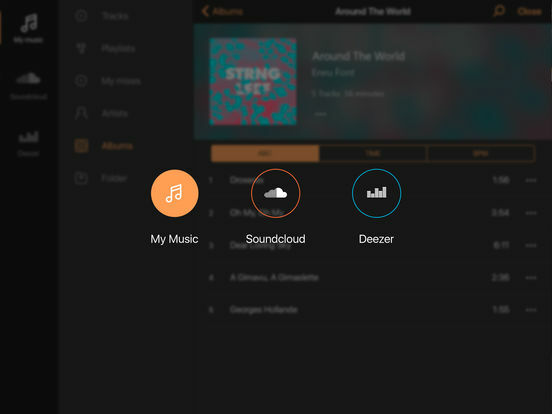 There are over 50 million tracks with access to Deezer and SoundCloud. A library of songs that you can search and set playlists. 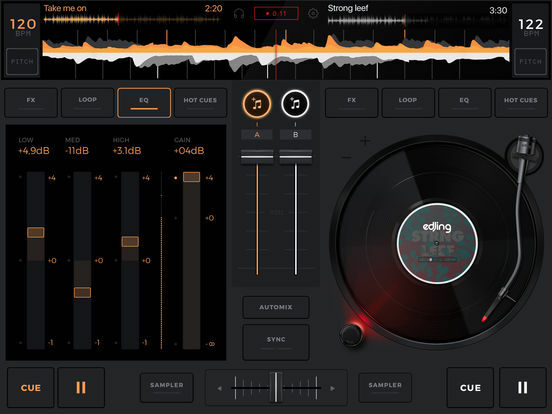 You can create your own eDJ profile page and show off your skills. There are more than 18 million users worldwide and this app has serious clout among the media. Reviews are impressive too. 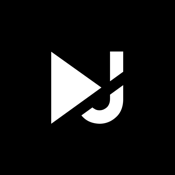 You can access your library to mix tracks, use Deezer or SoundCloud, unlimited storage for your mixed tracks, two turntables and a cross fader, DJ effects, BMP synchrnonization, remix mp3 files, and much more. 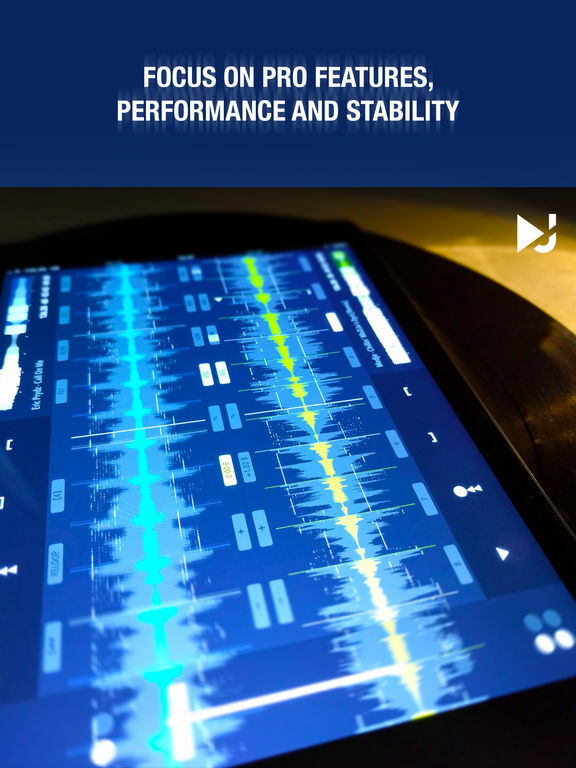 It's the measuring stick for all other DJ mixing apps. The iPad is a great tool for learning how to play the drums via drum pads. Or in this case, rhythm pads. 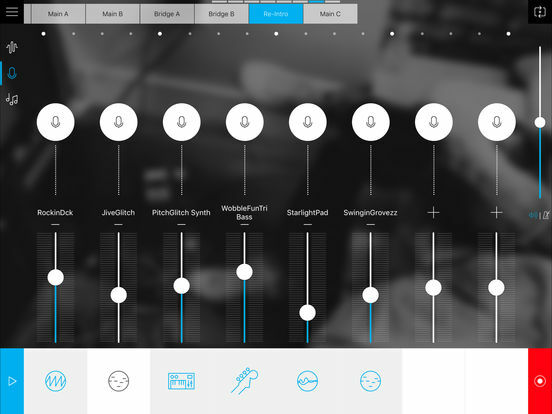 This app has a nice selection of real and electronic drum kits. 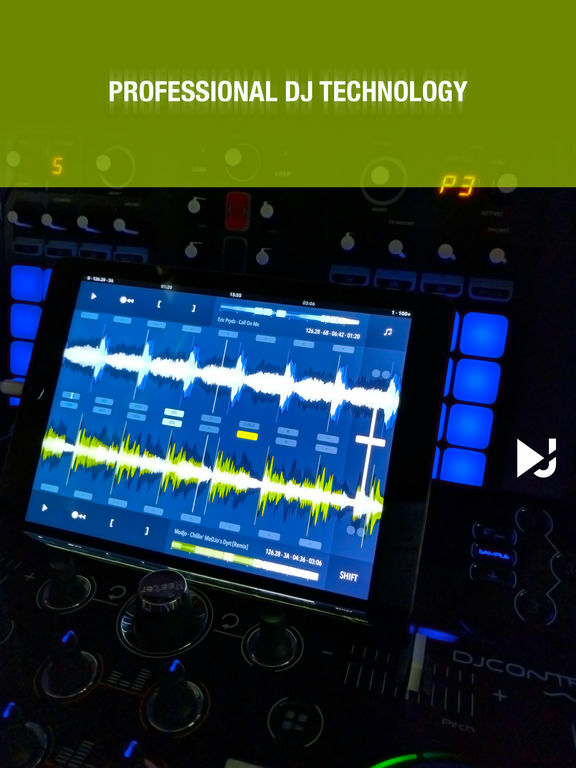 Some of the top features are smart levels for drumming sound, stereo quality sounds, a great user experience and layout and more. 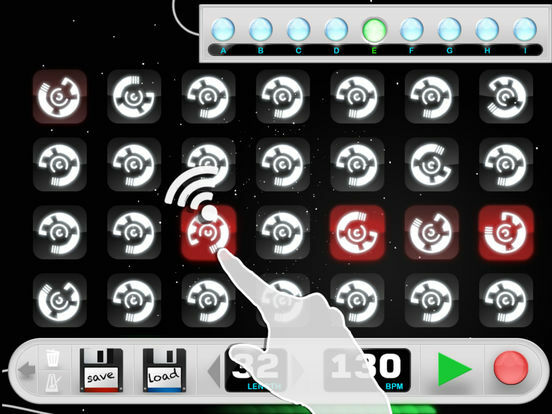 You can also configure the pads by levels and position. 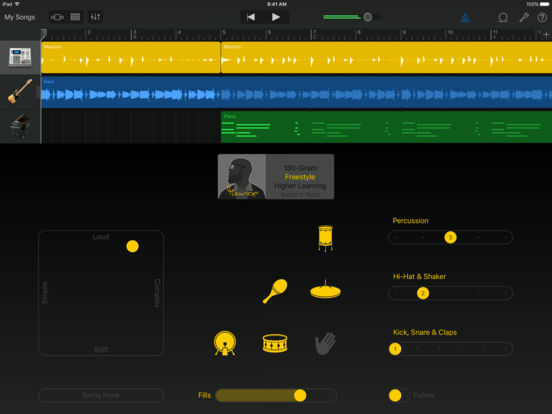 Record your drum sessions, transport the beats to another one of these apps on the list, and finish your masterpiece. There's MIDI support and the ability to hook your iPad up to your stereo speakers and let everyone around you hear your drum sessions. 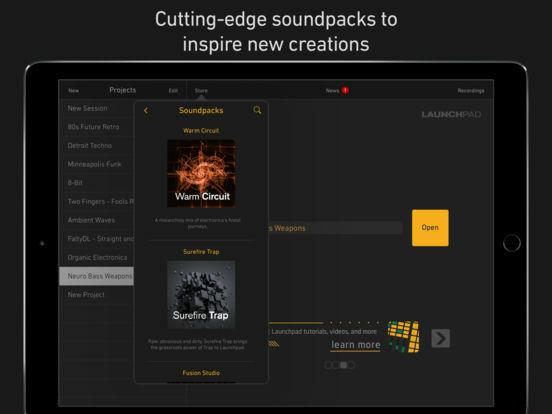 This app provides you with an exciting opportunity to create and remix music. 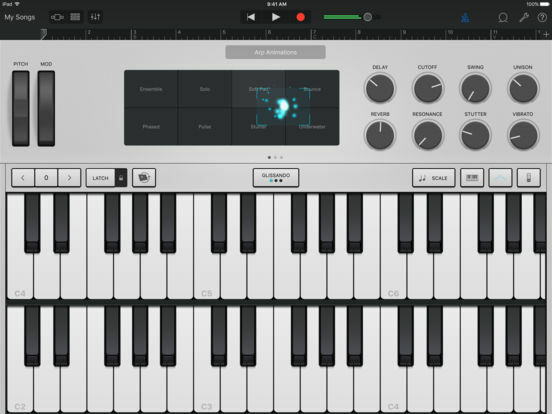 It's a great way to express your musical creativity by combining beats, vocals, loops and more. The app is free and easy to use, which is great for people who are novices. 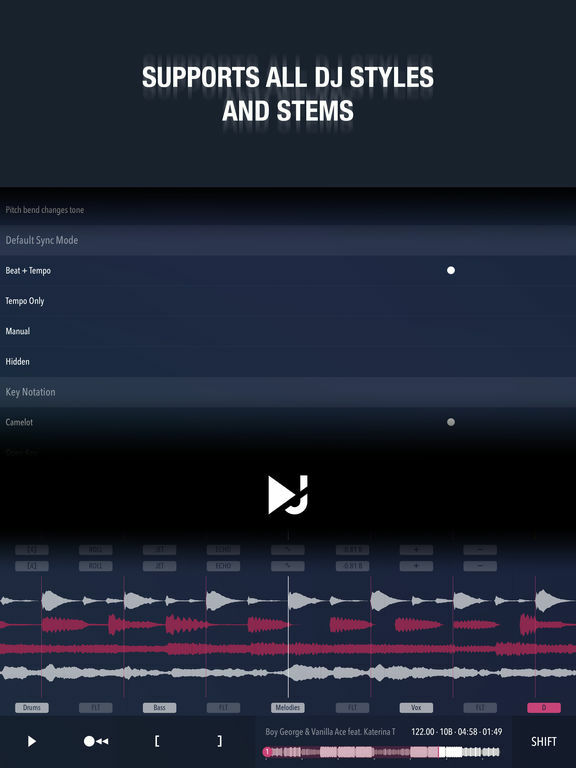 You can use your own sounds or some that the app offers. Create original tracks or remix others. 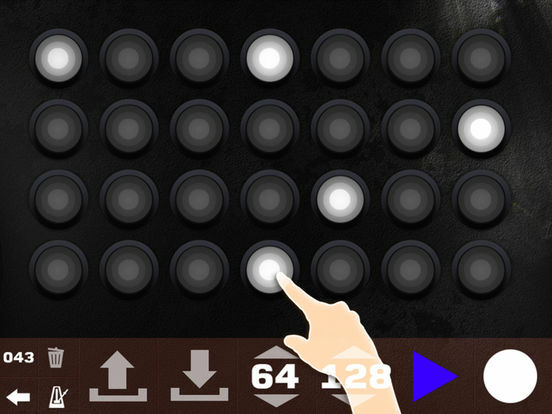 There are 8 loops and 8 free soundpacks. You can buy more soundpacks if you desire. Easily share the finished tracks via SoundCloud or other popular outlets like Facebook and YouTube. 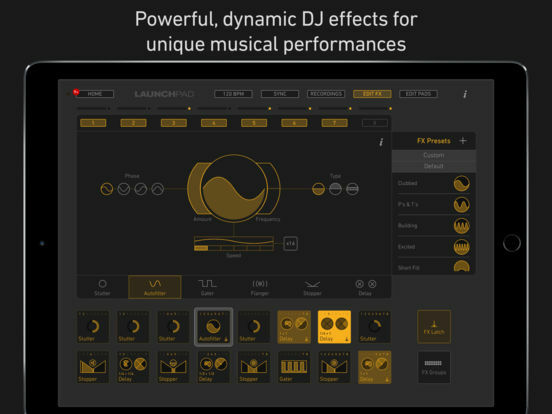 DJ Player is a powerful DJ app that offers awesome tools, professional components and a flexibility that's unmatched by any other DJ app. 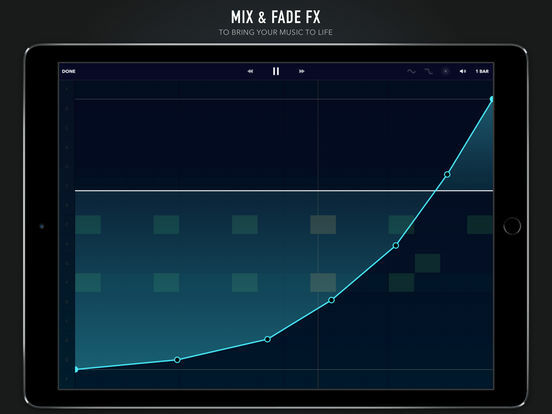 It's a desktop grade software that rocks the iPad and leaves others think that you are a pro. 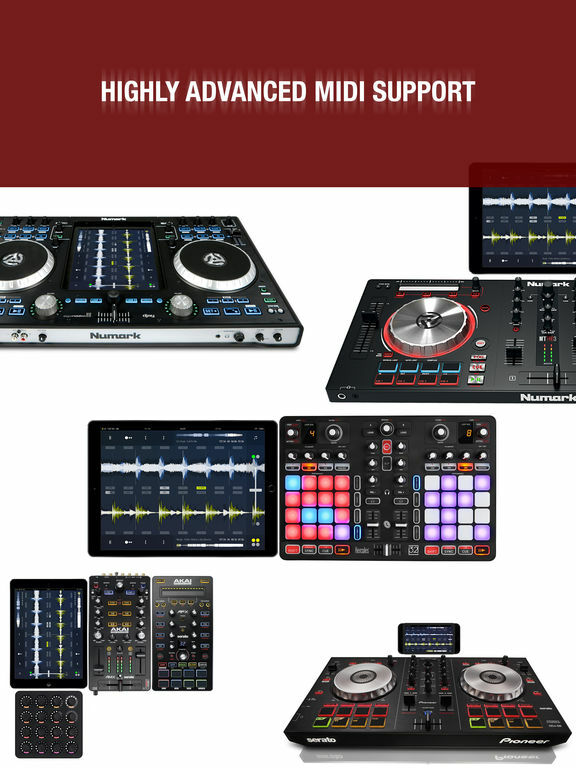 There are numerous features like beat-matching, tempo and beat sync, turntables, multi-deck control, loops, scratching and much more. In fact, you will be impressed with all the features that this app has to offer. However, to access or unlock all the features, you will need to make an in-app purchase. 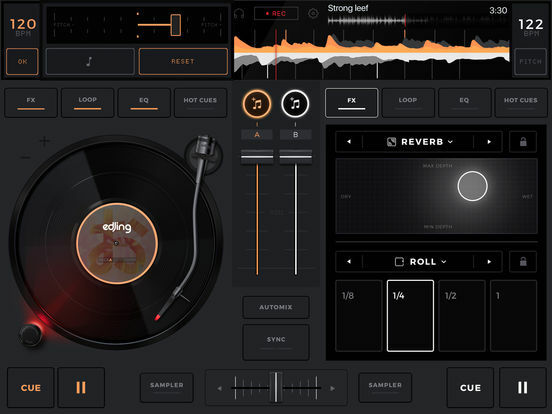 This app is designed for experienced DJs and is probably to advanced for the average person.